Ingot Metals is based in Western Australia. Large and experienced metal recycling specialist. Queensland Gun Dealer THE OPEN RANGE, offers a variety of shooting and outdoor supplies including guns, ammo, scopes, reloading and hunting accessories. THE OPEN RANGE offers you an exceptional range of quality products. 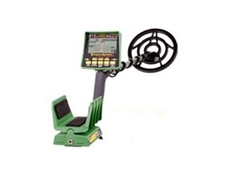 13/10/09 - The Open Range are please to announce the addition of GTI 2500 Garrett metal detectors to their range of products.